A familiar tale has emerged from the bowels of Silicon Valley of late. A startup—usually based on some fancy, technology-heavy concept—woos investors and customers, raises a ton of money, and seems poised to take over the world. But then someone does some digging and uncovers a bunch of crooked numbers and shoddy business practices, and it all comes crashing down. Many of the company’s worst offenses, according to Businessweek, continue the habits initially detailed in August when a report from Bloomberg News revealed that the company had engaged in a sketchy buy-back program of its mayo. The company claimed that it was done for quality control purposes; some of the contractors who actually did the buy-backs, however, claimed it was done to artificially drum up demand. Then there are the juicier bits: A former employee claims Tetrick’s ex-girlfriend broke up with him after she discovered he was having an affair with another Hampton Creek employee; another ex-contractor said of the buy-back program, “I felt ridiculous, but it was so culty I couldn’t push back”; Tetrick apparently “embellished” a fair bit of his background as a college football player. It goes on and on. In other words, it sounds like Hampton Creek, much like Elizabeth Holmes’ beleaguered Theranos, has all the makings for a good ol’ fashioned Silicon Valley implosion. 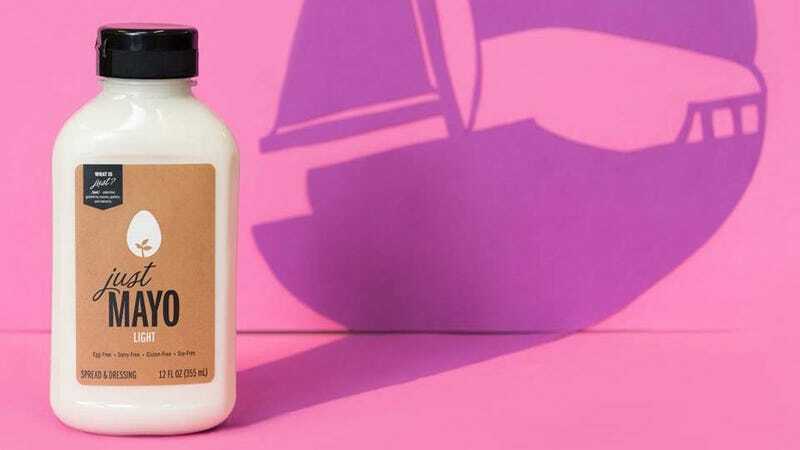 Of course, Hampton Creek is just shilling vegan mayo, not handling human bodies, but their story arcs are remarkably similar: charismatic founders, big promises, lots of money. Now I really feel deceived.